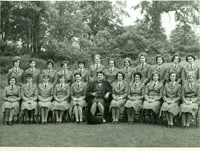 School Prefects were selected from girls in the sixth form. 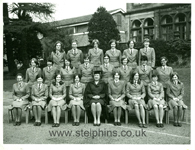 If you are able to identify any of the girls not yet named in the photographs please let either Liz know (details at the bottom of the page). 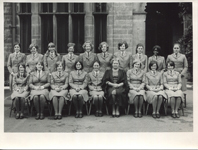 Please click on the photos below for a larger version. 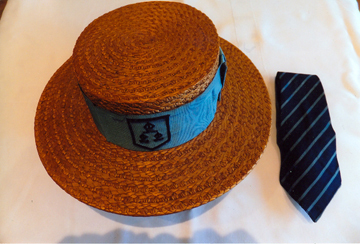 The photo to the right (supplied by Liz Mumford Hall, 1961-1968) shows the school boater, complete with prefect's band, and a prefect's tie.